16°C, very windy. Dry after morning rain. 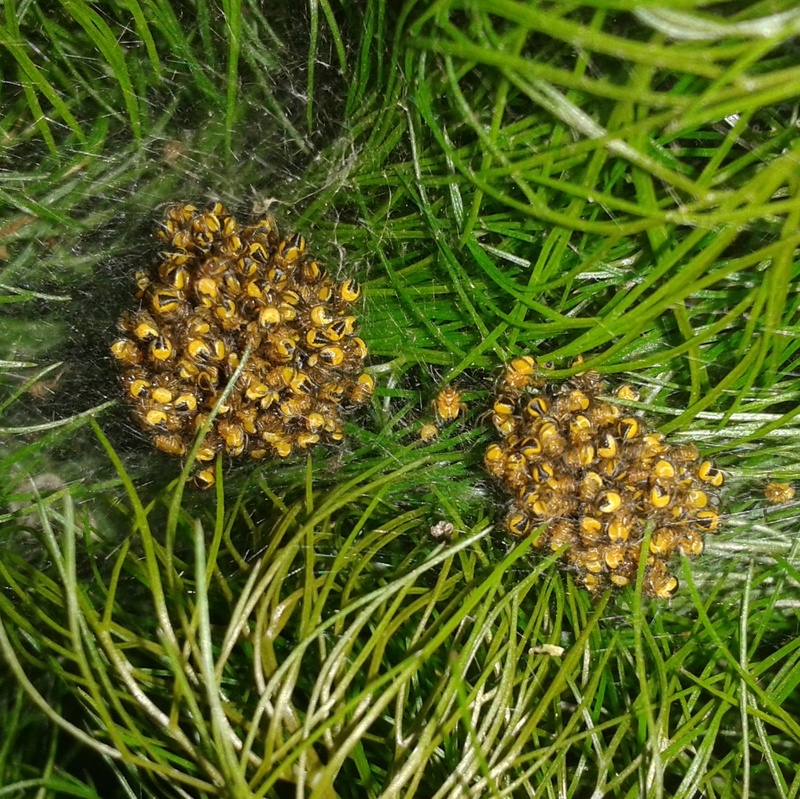 Today, the foliage spiders are nesting in two tight bunches. In close-up there are fine threads of silk holding the soft feathery tips of the fennel they have as a nursery. I am fascinated by this. It looks like a good survival method. Good thinking mum! I expect that small birds would be a threat to these little babies. But I can’t see how a bird could stand on such a soft plant to pick off this protein rich meal. I hope they do well, the adults are certainly attractive looking creatures. This entry was posted in Garden and tagged fennel, Foliage spiders, wildlife. Bookmark the permalink.